The Go-Ahead Group plc has announced its pre-close trading update for the year ending 30 June 2012 ahead of its full year results announcement on 6 September 2012. “Go-Ahead continues to perform well, with all our companies seeing revenue growth in the year to date. 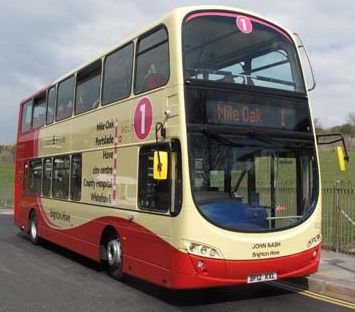 “In line with our strategy to grow our bus division, we have acquired a number of businesses during the year and have driven organic growth through smart-ticketing and providing high quality value for money services. “In rail, we are pleased with the performance of our three franchises despite the challenging economic environment. BUSES Our deregulated bus division continues to see solid growth. We expect full year passenger revenue to increase by around 4% on a like-for-like basis (after adjusting for acquisitions) and passenger journey growth of around 3%. We continue to see stronger growth in fare-paying passengers, partly offset by weaker concessionary performance. Whilst the average yield per journey remains lower as passengers continue to take advantage of our value for money period passes and smartcards, the successful uptake of these products enhances the long term growth prospects of our business. Since our last update in April, we have acquired HC Chambers & Son Ltd, a small bus company operating on the Essex/Suffolk border. Including acquisitions, we expect full year growth in deregulated passenger revenue of around 7% and journey growth of around 4.5%. Our regulated London bus operations have delivered a strong performance in the year to date, with like-for-like revenue expected to increase by around 6% in the full year and mileage up by around 4%. Contract wins and the acquisition of the Northumberland Park bus depot in North London will result in strong mileage growth continuing into the next financial year. 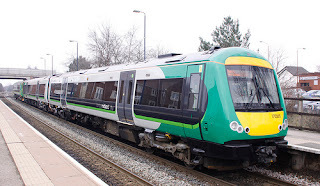 RAIL Our rail division operates the Southern (including Gatwick Express), Southeastern and London Midland franchises through our 65% owned subsidiary Govia. Southern continues to perform well and we anticipate full year like-for-like passenger revenue growth of around 8.5% and growth in passenger numbers of around 1.5%. The current economic environment does present challenges going forward as the bid model in 2009 assumed stronger underlying economic growth rates at this stage in the franchise. Southeastern has shown a solid performance and we expect growth in passenger revenue of around 10% in the year, with passenger numbers growing by around 1.5%. 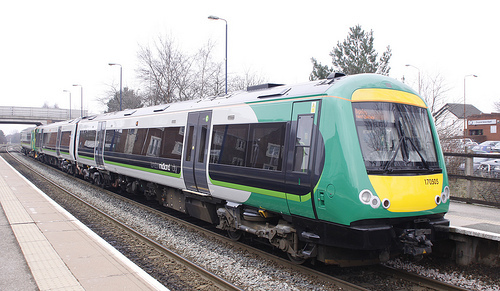 London Midland’s growth in passenger revenue and numbers remains strong, with full year expectations around 13.5% and 8% respectively. The franchise became eligible for revenue support in November 2011, but it has not been required due to successful revenue generating initiatives such as marketing campaigns and special offers.